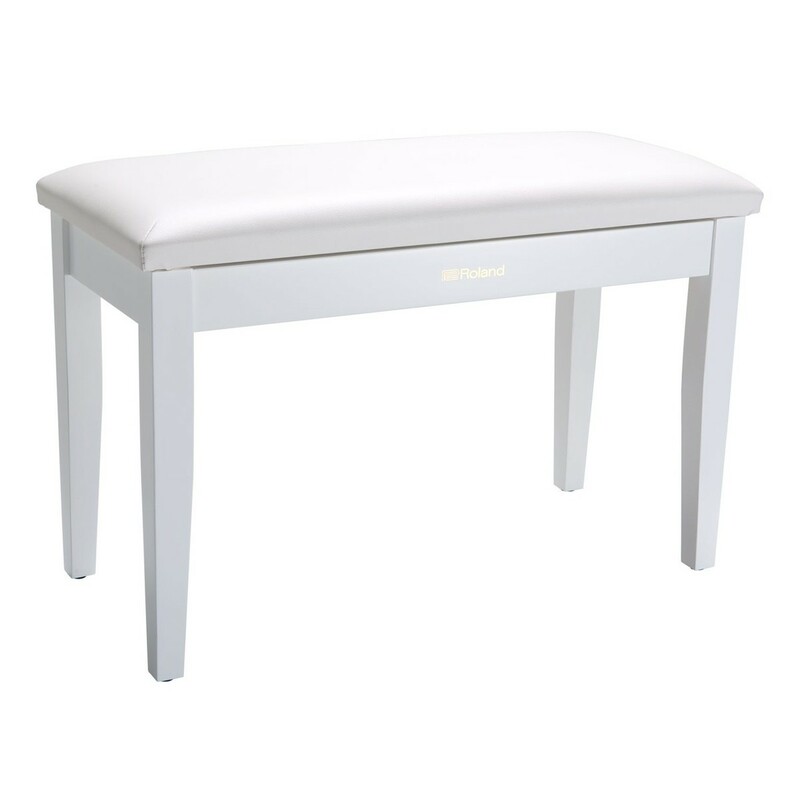 The Roland RPB-D100WH Double Piano Bench offers space for both teacher and student. The RPB-D100's wide seat comfortably fits two people, ideal for accompanied playing. The solid wood frame is heavy duty for long lasting durability, whilst rubber foot caps keep the seat stable. The padded cushion and vinyl top offers a comfortable surface.